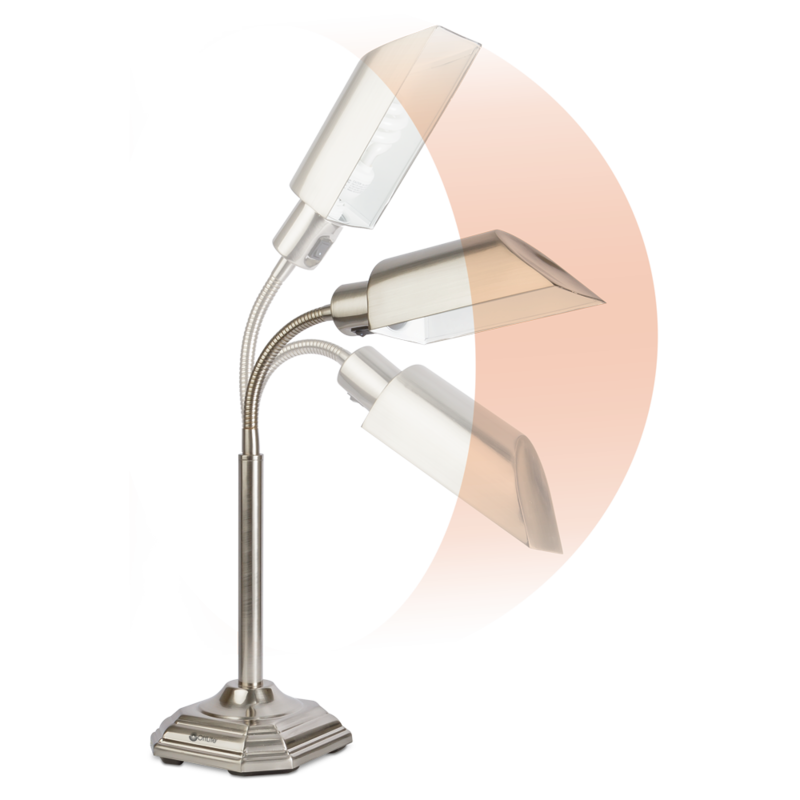 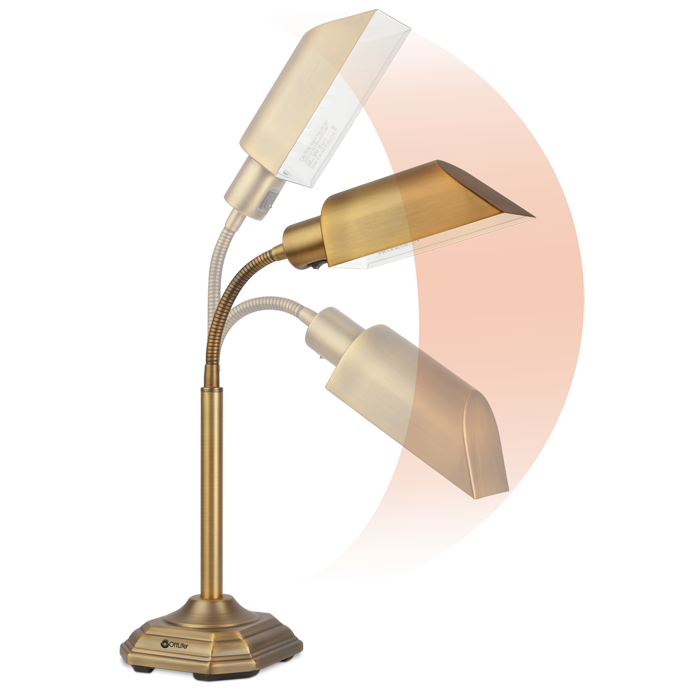 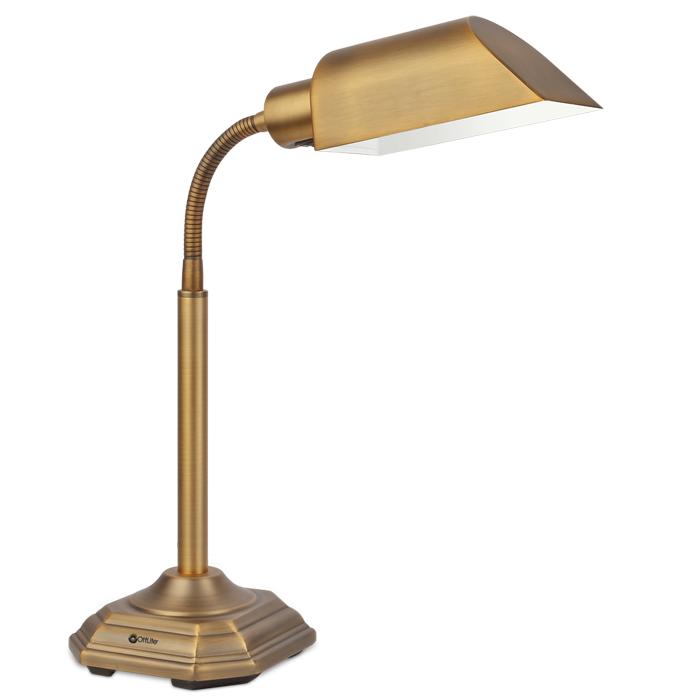 Dramatic styling comes together with OttLite Illumination to make reading and seeing easier. 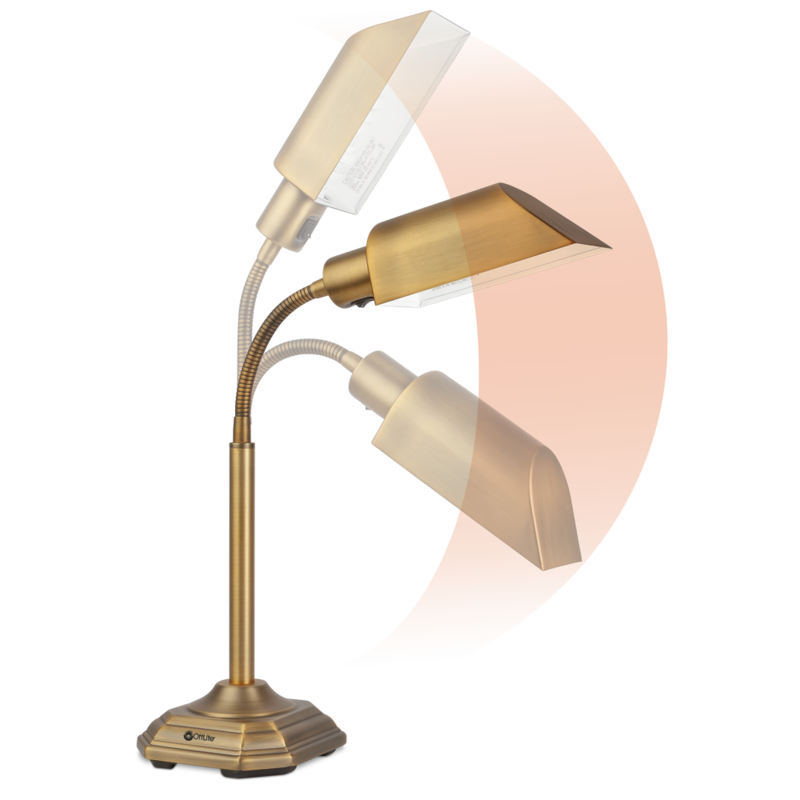 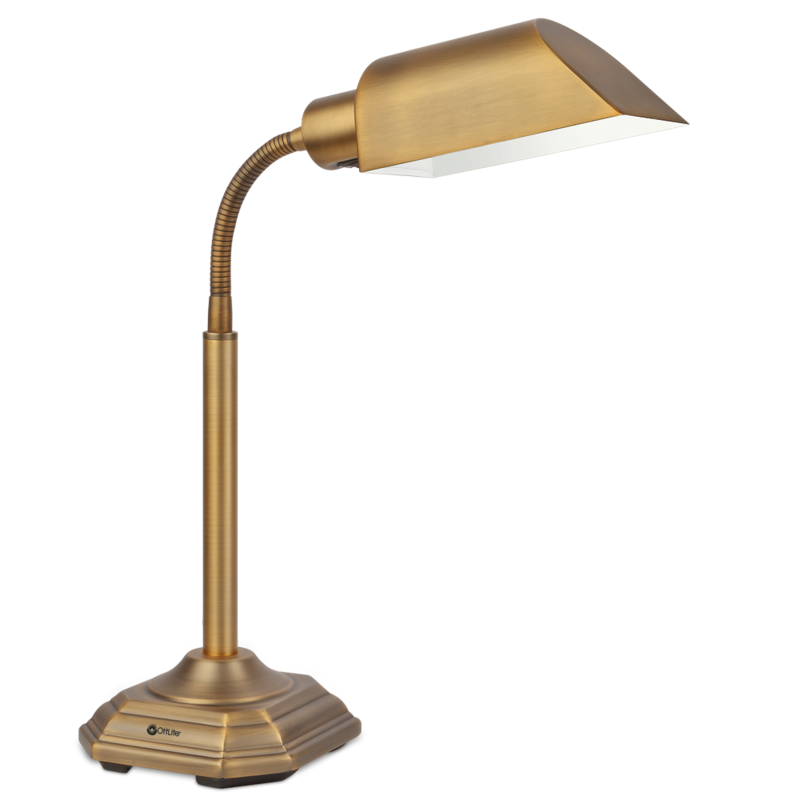 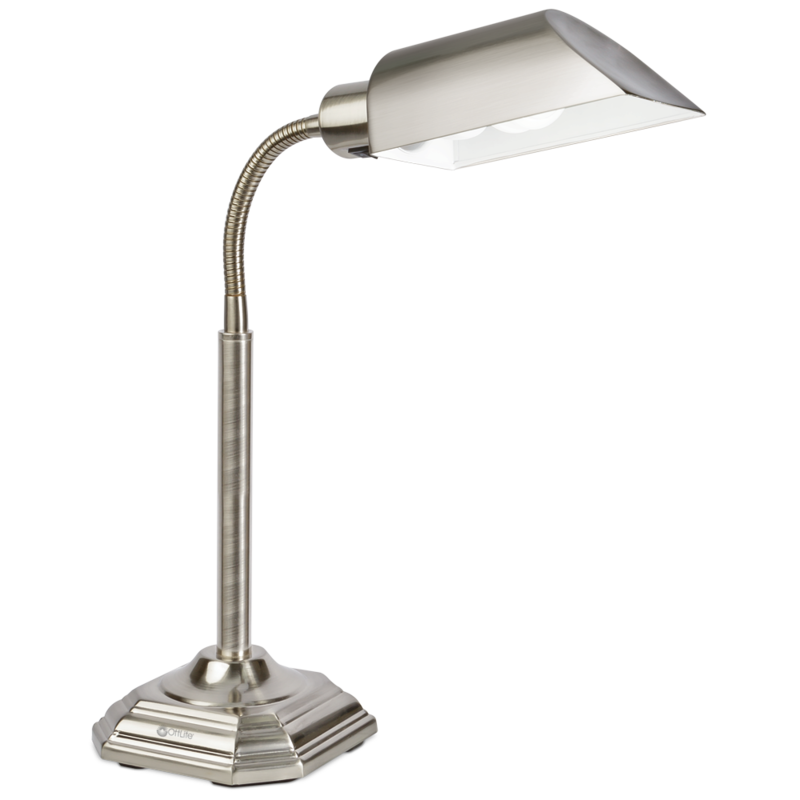 The 20w Alexander Table Lamp is finished in beautiful honey brass or stylish brushed nickel and features a flexible neck for optimal light positioning. 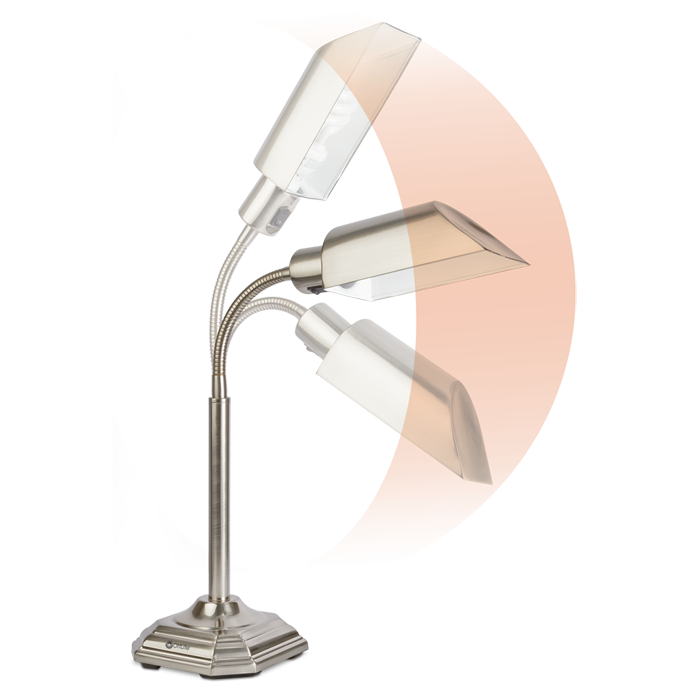 It's the perfect bedroom lamp or office light. 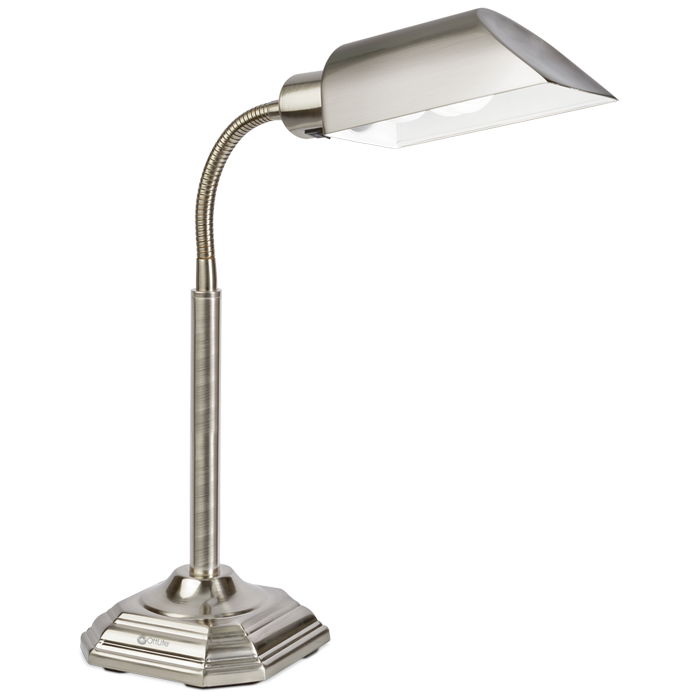 You’ll love seeing fine print and details clearly under this low heat, low glare light that helps reduce eyestrain.